Family therapy helps family members recognize and resolve conflicts. We work together to improve your relationships with each other. Living With Other People Is Not Always Easy! 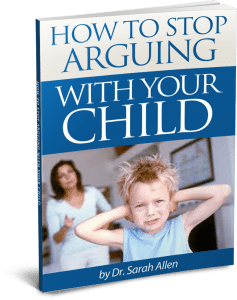 Are you children constantly arguing with each other? Is one family member having a really difficult time and it is affecting the whole family? Are you feeling overwhelmed by your families’ needs and that no one is supporting you or doing their fair share? Family therapy is useful when there are issues that impact the whole family. People often call for this type of therapy when there is a lot of conflict between family members. Even if the tension is only between two family members, it can cause the whole family to be impacted. Another time family therapy is sought out is when a family has a particularly difficult stressor to handle, such as illness or death of a family member, job loss, relocation to a new area and school or the addition of a new sibling. Sometimes a person calls a family meeting just so they can be heard by everyone in a facilitated way. Family therapy is a useful way to help strengthen the ways in which family members relate to one another. Sessions may include me seeing a child for some individual therapy sessions, parent sessions (see my parenting page), and/or the family together. Each family’s situation is different and we will develop a plan to best meet your family’s needs. This actually comes up frequently. One person “doesn’t believe in therapy” or one of the parents can’t get time away from work. Please don’t be angry or feel hopeless if one family member refuses to actively engage in therapy. What I have found is it helps more to go into counseling with just the people who want to be there than by forcing someone to be there when they don’t want to. It is definitely better than doing nothing at all! In fact, working on the way you personally are affecting the family dynamics can drastically improve the quality of the relationships for everyone. The changes one or two people actively make can go a long way and often, when the other people in the family see your commitment to actively working on things, they become interested in participating too. Even if it might appear that way to you at the moment, it is rarely just one person that is causing all the family tension. The way we interact with each other, bring up our concerns and support each other, affects the family dynamics. So even if one person is having a particularly difficult issue by working on the family’s responses to that problem can help to strengthen the ways in which family members relate to one another. We can focus on what you want your family’s relationships to be like and create changes to make that a reality. If you think that your family would benefit from this type of approach, please contact Dr. Allen on 847 791-7722 or email her at using the contact form.